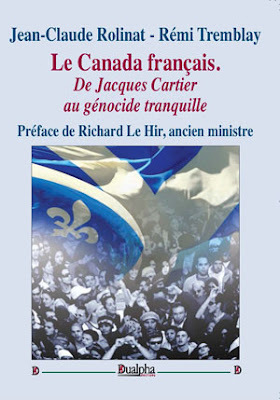 Ricardo Duchesne: All cultures have unique customs, language(s), beliefs, geographical characteristics, and historical experiences. But the West has been exceptionally unique since its prehistoric origins in the Proto-Indo-European world of the fourth millennium, beginning as a pastoral people from the Pontic-Caspian steppes. Indo-Europeans initiated the most mobile way of life in their time, associated with the domestication and the riding of horses, the invention of wheeled vehicles, as well as the efficient exploitation of the "secondary products" of domestic animals (textiles, herding, and the consumption of dairy products as they evolved lactose tolerance, which gave them a biological advantage in the consumption of a major nutrient and allowed them to raise and feed more warriors). Indo-Europeans were also the inventors of chariots in the second millennium. There is now substantial genetic evidence showing that Indo-Europeans did colonize the whole continent of Europe. But even though they invaded both Eastern and Western lands, only the Occident was fully "Indo-Europeanized". Indo-Europeans were also uniquely ruled by a class of free aristocrats. I define as "aristocratic" a state in which the ruler, the king, or the commander-in-chief is not an autocrat who treats the upper classes as unequal servants, but is a "peer" who exists in a spirit of equality, as another warrior of noble birth, primus inter pares. 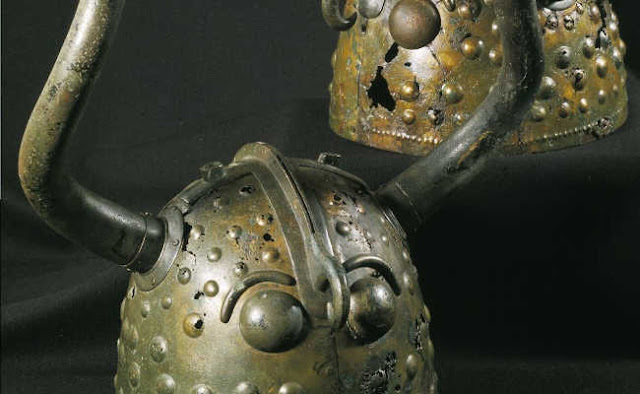 This aristocratic temperament was exhibited in the heroic oral traditions and literature of Indo-Europeans, wherein the most important value was the pursuit of individual glory as members of war bands and as judged by their peers. European literary works abound with accounts of the heroic deeds and fame of aristocrats: Iliad, Beowulf, the Song of Roland, including such Irish, Icelandic and Germanic sagas as Lebor na hUidre, Njáls saga, Gísla saga Súrssonar, the Nibelungenlied. These are the earliest voices from the dawn of Western civilization. It is a mistake to think the West diverged from the Rest only with the rise of modern science and industry. The Occident has always been in a state of divergence from the Orient. After the Indo-Europeanization of Europe, and the rise of the first Western civilization, the Mycenaeans in the second millennium, with their "Homeric" warrior values, I trace other "divergences" such as the "Greek Miracle" (discovery of logos, reasoned discourse and its link with the order of the world, invention of prose, tragedy, citizen politics, and face-to-face infantry battle); the Roman creation of a secular system of governance anchored on autonomous principles of judicial reasoning; the fusion of Christianity and the Greco-Roman heritage, coupled with the cultivation of the first rational theology in history, Catholicism; the medieval invention of universities, and much more; the incredible rounding of Africa by the Portuguese in the fifteenth century, the Spanish discovery of the Americas, the European mapping of every region of the Earth, the permanent revolution in navigation techniques from the mid-1400s onwards, the Printing Revolution, the Newtonian Revolution, the Industrial Revolution, the establishment of all the disciplines in the sciences and social sciences that we teach today, the German philosophical revolutions from Kant to Heidegger. The Asians were leaders primarily in the production of large populations and labor-intensive farming techniques. 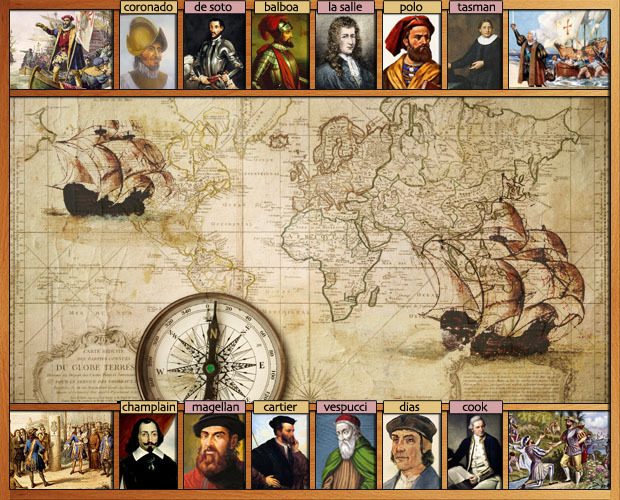 The West was also unique in displaying a far higher level of cultural creativity than all the other civilizations combined. Charles Murray has observed that ninety-seven percent of accomplishment in the sciences occurred in Europe and North America from 800 BC to 1950, and that in the Arts Europe alone produced a far higher number of great works than the rest of the world combined. One-hundred percent of classical music composers were European. 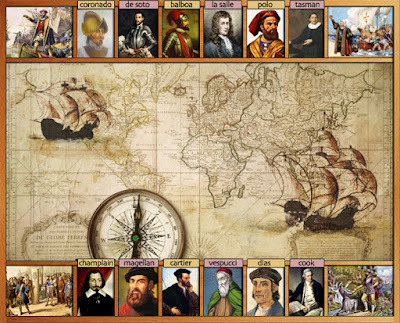 A few years ago I observed in an article, A Civilization of Explorers that around ninety-five percent of all explorers in history, using the most modest figures, were European. There is also a stark contract in the degree of creativity achieved by each of the great figures of the West; for example, not only are almost all the great philosophers European, but each one offered new insights, unlike Eastern sages, who tended to venerate and repeat what Confucius, Mencius, and Mo Tzu said. Europe not only invented the novel, and produced most of the great writers, but each generation strove to cultivate a new literary style, new characters and new stories. In painting, the list of styles is extensive, to name some: Romanesque, Renaissance, Neo-Classicism, Rococo, Romanticism, Naturalism, Realism, Impressionism, Surrealism, Dadaism, Mannerism, Neo-Primitivism, Minimalism, Futurism, Tonalism, etc. By contrast, Chinese art, great as it was, remained centred around standard motifs, landscape painting, using such techniques as detailed brushstrokes, calligraphy to make ink paintings, and techniques to catch the "rhythm" of nature. RD: Since the late 1980s, setting higher targets for "economic" immigrants (skilled workers, affluent consumers, and well-off taxpayers), and lowering targets for family-class and refugee-class immigrants, has been a priority of the Canadian government. 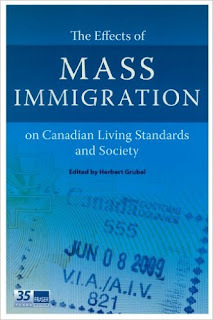 On the surface, looking at data from Citizenship and Immigration Canada, it would seem that, since the mid-90s, economic immigrants have constituted around 60 percent of the total, whereas family-class immigrants have constituted around a third of the intake, and refugee inflows about 10-15 percent. It would appear that Canada's immigration policy has been relatively successful in bringing "quality" immigrants. But included in the "economic class" are also the spouses and children of the principal economic applicants. For example, it was estimated that in 2005 only 39% of the immigrants classified under the "economic class" were principal applicants selected according to their language skills, level of education, and work experience. As a percentage of all the immigrants granted permanent residency in 2005, only 19.5% were directly selected on the basis of their skills and education. Moreover, the so-called "highly trained immigrants" have come primarily from countries with educational systems and training standards that are either unfamiliar or lower than Canadian standards. Many have arrived with weak skills in English and/or French, and have not exhibited the credentials, education, and work experience required in high-level Canadian jobs. A survey carried out in 2003 by The International Adult Literacy and Skills Survey on some 18,000 individuals (of whom 3,700 were immigrants) showed that the cognitive skill distribution of immigrants was much lower on average than that of Canadian born individuals. Immigrants from countries in Africa, Asia, Caribbean, and Latin America obtained lower scores on cognitive skills and tests. The anticipation that average Canadians would benefit from mass immigration, with a higher proportion being "economic" immigrants, has proven false. It is well-established that Canadian workers' purchasing power remained flat from 1980 to 2005. According to Statistics, Canada's analysis of the 2006 census, the median earnings of Canadians (in inflation-adjusted 2005 dollars) have increased by 0.1% since 1980. Not only that, but the earnings of the poorest fifth fell dramatically in that time, by 20.6%, while the top 20% of earners saw their incomes rise by 16.4%. 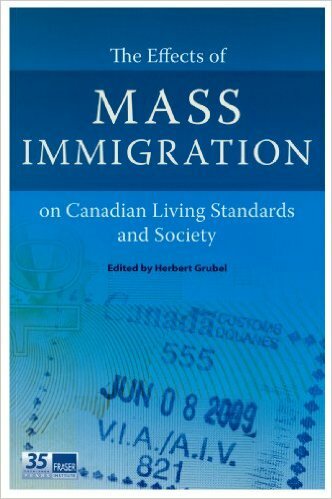 Economist Herb Grubel of Simon Fraser University, and a Fraser Institute fellow, calculated, among other things, that the costs in services and benefits, in the year 2002 alone, incurred by the 2.5 million immigrants who arrived between 1990 and 2002 exceeded the taxes they paid by $18.3 billion; the average immigrant since 1985 has imposed an annual fiscal burden on Canadian taxpayers of $6000, for a total of $25-billion annually for all immigrants. In January 2015, the government launched "Express Entry", a system designed to accelerate the application process for the highest ranking skilled workers, who will be invited to apply for permanent residence and their application processed in six months or less. But there are no indications as to how this "Express Entry" will address the problems I have just outlined. I find it morally questionable for the wealthiest nations of the world to set up systems designed to entice the most educated individuals from the poorer nations where they are in higher need. This is known as "braindrain", which is a form of imperialism, which goes to show how immoral and hypocritical the ideology of mass immigration is; on the one hand, calling upon Canadians to cherish other cultures, while, on the other, promoting policies that weaken the economic well-being of these cultures. RD: The idea that Canada has no other identity than being a multicultural nation has been encrypted into our brains ever since Prime Minister Pierre Trudeau's announcement in Parliament in 1971 that "cultural pluralism is the very essence of Canadian identity. Every ethnic group has the right to preserve and develop its own culture and values within the Canadian context…no particular culture is more 'official' than another." Canadians are repeatedly told that every ethnic identity in the world is and can become equally Canadian. The British and the French are no more important to the making of the Canadian nation than the Chinese, Muslim, Ugandan, or Honduran who arrived a few years ago. In 1971, the French and the British still constituted 74 percent of the population, and 96 percent of the population was European. All the institutions, values, religions, curriculum and languages were overwhelmingly British and French. But now Eurocanadians are being taught in schools and universities that Canada was created by multiple races and cultures, even though this is a blatant historical fabrication. The number of immigrants coming each year into Canada since the early 1990s has been staggering, roughly 225, 000 and 280,000 immigrants per year, mostly from non-European nations. One-third of Canada's population will be visible minority by 2031. Projections by Statistics Canada (2010) suggest that "whites will become the minority in Toronto and Vancouver over the course of the next three decades." South Asians, including Indians, Pakistanis and Sri Lankans, are expected to make up 28 per cent of the population in these two cities, and the Chinese alone are estimated to constitute 21 percent. In the city of Vancouver, white residents will be reduced to 2 out of 5 residents by 2031. In Toronto, Europeans will number only 37% of the population. RD: The fact that these projections are pointing to a future Canada in which "Caucasians" will be increasingly displaced by people who are "non-white in colour" — the terms Statistic Canada uses — is never seen as an issue by the mainstream political parties and the media. Instead, Eurocanadians who lament their dwindling numbers are categorically denounced as "white supremacists", while "non-Caucasians in race" who call for a majority Asian Canada are celebrated as vibrant and liberal-minded — regardless of their otherwise intolerant customs, hyper-patriarchal dispositions, and unwillingness to marry outside their race. So, even if many are "aware" that they will become a minority, they are prohibited from discussing this issue unless they wish to be labelled "racist". The entire multicultural system, the policies, hiring practices, grants, media announcements, education, is set up for the advancement of "diversity" and for the benefit of non-European immigrants, which means that many Eurocanadians also stand to benefit as advocates and employees of diversity, since the system offers many economic incentives, jobs within a massive bureaucracy dedicated to the integration of immigrants and the diversification of Canada's entire society. Our values are upside down; diversity ideologues go around parading as upholders of the highest moral principles in human history as they sell-out their heritage, celebrate the culture of foreigners, distort the history of Canada, living easily thanks to the hard labour of past Eurocanadians nation builders. RD: The so-called "conservative" media used this Islamic attack on Canada's parliament on October 22, 2014, which resulted in the death of a Canadian soldier, to press the argument that Canadians should be worried about Islamic terrorism around the world and join the "global fight" against such terrorism. Stephen Harper, our conservative prime minister, thus insisted on Canada's commitment "to work with our allies around the world and fight against the terrorist organizations who brutalize those in other countries with the hope of bringing their savagery to our shores." While I view the "Islamization of Europe" as a monumental threat to the security and ultimate survival of European peoples, I don't agree that we are in a "civilizational war" with Islam. This idea merely serves the interests of Israel and the Neoconservative agenda of promoting American military and economic interests in the Near East. We should not be promoting Western values in the Muslim world. We should be protecting our heritage and promoting European pride and identity in our own homelands, which means that immigration from both Muslim and non-European nations generally should be cut drastically, and the entire multicultural system dismantled. Right now, Islamization is not a major problem in Canada, or, let me rephrase this; Islamization is part of a wider immigration problem in Canada, which has to do with the relentless promotion of mass immigration by our current cultural elites, including all the mainstream political parties and the entire media establishment. The destruction of Canada's European identity is the major problem, and we can't blame Muslims per se for that; we should criticize Islamization wherever we witness it, but we should not forget that Islamization is consistent with the ideology of multiculturalism endorsed by the cultural Marxists dominating Canada.